It has been reported today, by worldnet dailey, that Dr. Corsi the aurthor of Obama Nation, is being held by immigration officals in Keyna. Police picked him up at his hotel, in keyna this morning. 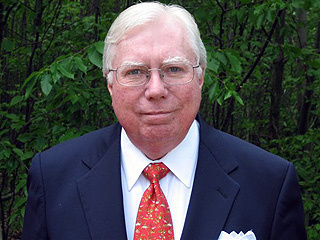 Dr. Corsi was getting ready to issue a press confrence today, in regard to his findings of his investagation of Obama. He was to speak about the connection between Obama and the Kenyian government. Corsi, the author of the No. 1 best-selling book “The Obama Nation,” was picked up by authorities at his hotel at 9:45 a.m. and detained at Nyayo House, the provincial headquarters for Nairobi. Unconfirmed reports say Corsi has been taken by government officials to the airport. He has not been available by phone or e-mail since 9:30 a.m. Eastern time. It is clear now, that speaking out about Obama, will not be tolerated. This should be plain to every American. If this can be done to a person in the public spotlight, like Dr. Corsi, then what will happen to the rest of us? I have to say the idea, is frightening to say the least. It was also reported by KMOV TV ANCHOR that Obama’s presidential campaign is asking Missouri law enforcement to target anyone who lies or runs a misleading television ad. This is begining to look more like a socialist party, than the democratic party. It is a sad day, when the United States looks more like the USSR, than a free republic. UPDATE: IT IS NOW REPORTED THAT DR. CORSI IS BEING DEPORTED FROM KENYA, AND WAS NOT ALLOWED TO GIVE A PRESS CONFRENCE FROM KENYA. Be prepared America. Barry Obama shares no parallels with Matin Luther King. His meteoric rise, should you merely study a remedial history book at your local library, is much closer and in line with that of Adolf Hitler. The angst and anger of the country and her people…his youth…wanting ‘change’ with no idea of what ‘change’ it will be, all in line with the pre WWll Germany. Lest we all forget: Hitler filled stadiums, gave rousing speeches, and owned the media as well. Heaven help us all. « This could be the first lady..Think before you vote!